Move the party outdoors! Using tortilla crusts and a few toppings, you can make individual pizzas for four or fourty. 1. Preheat the bbq (with lid) to medium high. In a small bowl, mix the oil and garlic. Brush the chicken breasts with 1 tsp of the oil mixture then season with salt and pepper. Place onto the grill then cover (or pull down lid) and cook for 12-18 minutes, turning once, until the juice of the chicken is clear when the center of the thickest part is cut. Reduce the heat of the bbq to medium-low. 2. 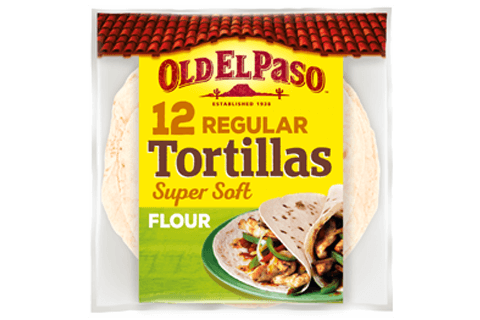 Place the tortillas onto ungreased baking sheets. Brush with the remaining oil mixture. Cut the chicken into strips. Arrange the chicken strips over the tortillas then sprinkle each with some of the cheese. Top evenly with the tomato slices and sprinkle with the remaining cheese and torn basil leaves. 3. 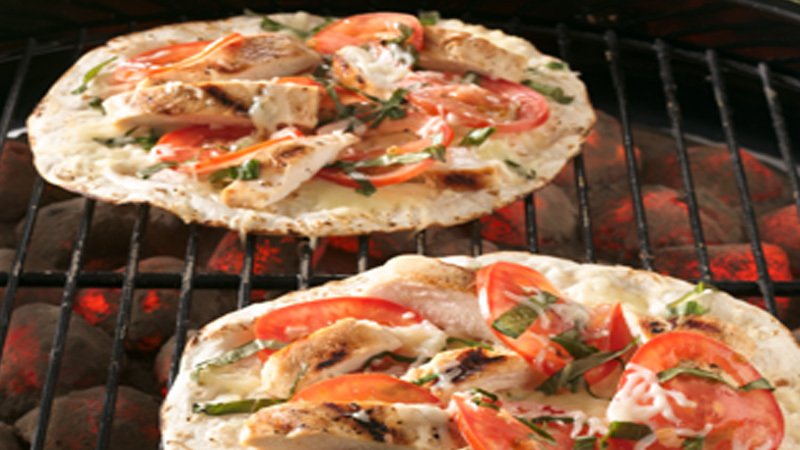 Slide the pizzas onto the grill with a wide spatula. Cover the bbq (or pull down the lid) and cook for 3-5 minutes, rotating pizzas to avoid hot spots, until the cheese is melted and the crusts are crisp. Serve immediately! If there’s bad weather outside, why not cook in the oven in the dry! Bake the chicken in the oven at180C, 160C fan, gas 4 for 12-18 minutes as above, checking for the juices to run clear. Cook the tortillas on the baking sheets for 5-10 minutes, until the cheese is melted. Jazz up the pizza with other toppings such as peppers, courgettes and sweetcorn.